Sadly, Keith Horne, one of the school's founders passed away recently. School members joined with his family to celebrate a wonderful life of community service. 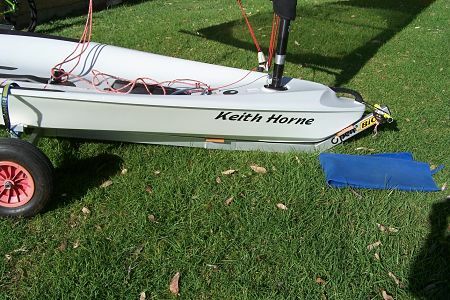 One of the Open Bics was named the 'Keith Horne' during a ceremony on the last training day on 14 April 2018 at the boatshed. Below is a set of images showcasing Keith's involvement with the Sailing School. Below that is an article based in an interview with Keith about the history of CJSS. Keith Horne's son and daughter with the Open Bic named in memory of Keith. Keith Horne's family with the Open Bic named in memory of Keith. The happy sailing school gathering with Keith second on the left. 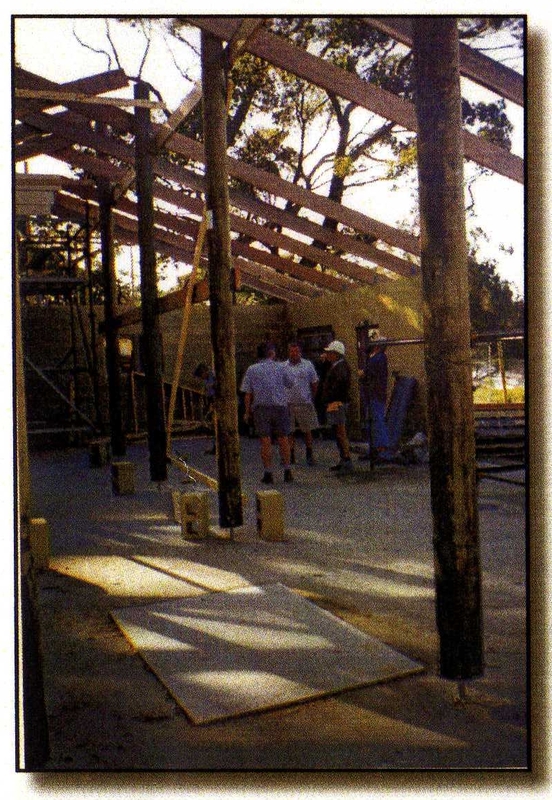 The Callala Junior Sailing School is somewhat unique and a real treasure in Callala Bay, being built completely by volunteers. Jervis Bay Sailing Club, Sailability Callala and the Jervis Bay Cruising Yacht Club also use this as their "clubhouse". But the School is more than that ... it has a proud history of training young children in the sport of sailing, and continues to do so. 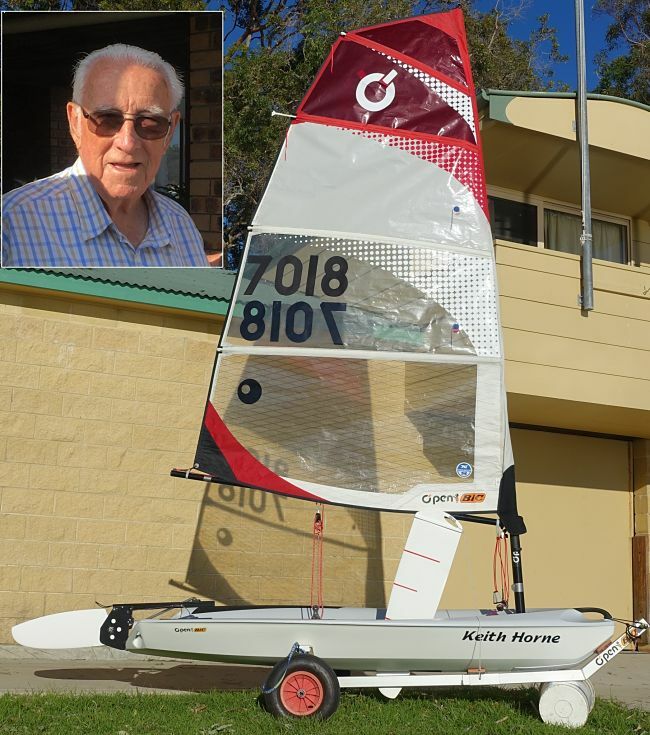 Below is an interview with Callala Bay stalwart, Keith Horne, about the beginnings of the Sailing School. 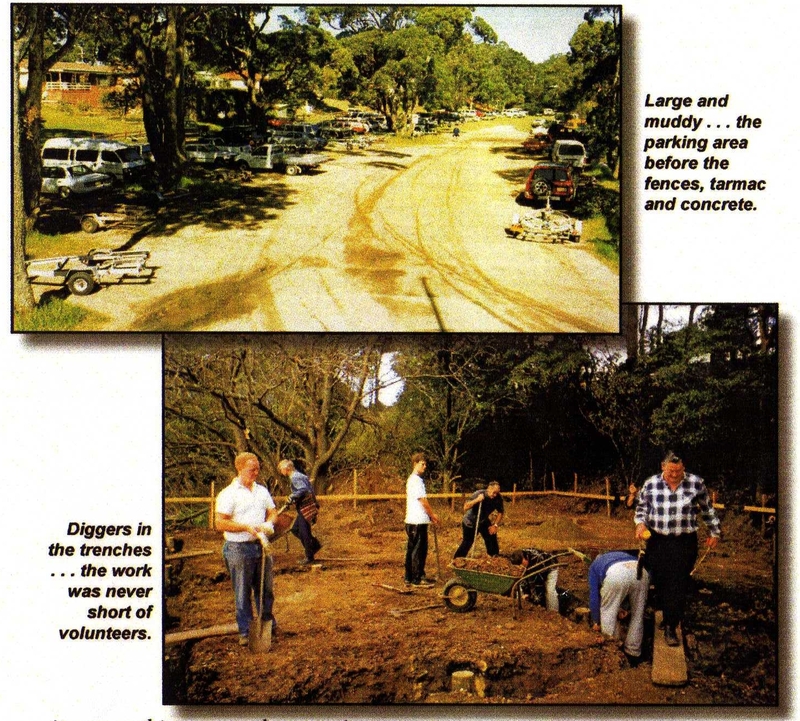 In the early 1990's Callala Bay was a quiet little village and just about everyone was acquainted with everyone else. I was into sailing and I crewed for Col Ryan on SV Tales in sailing events run by the Jervis Bay Cruising Yacht Club (JBCYC). The nephew of one member of our group in company with some of his mates, raided the refrigerator of one of their parents, and consumed a few cans of beer. This led to them stealing some fishing gear from a neighbour's house and subsequently getting caught by the police. As the neighbour recovered his equipment he did not want to prefer any charges against the offending group of youths involved in the crime. The constable involved suggested that if we had a plan to keep the lads out of trouble he would advise his superiors and hopefully drop any further action at this time. As we are all involved in sailing I suggested that we get hold of a small sailing dinghy and teach them to sail it giving them something to do to keep them out of trouble. This worked fine but the next thing we knew we were inundated with parents wanting us to teach their kids to sail as well. This was the catalyst for the future C.J.S.S. Inc. We conducted sailing classes every Saturday morning and gradually increased our fleet to about eight vessels. Thinking that the students would get sick of it and it would all disappear in six months. How wrong we were! The sailing classes just increased in popularity, it was nothing to get thirty or forty kids turning up each weekend. The time was ripe for a decision to get serious so we looked for a location to build a boat storage facility as close to the water as possible. 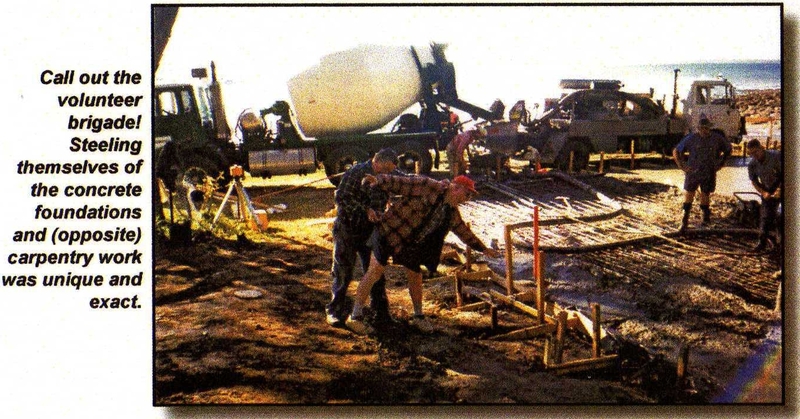 The yacht club site, advertised by Warren Halloran in land sale brochures, was not appropriate as it meant we would need to transport boats and students by road to the best launching site at the boat ramp reserve. We approached Liberal member Eric Ellis for assistance in obtaining our present boat shed site, and because of his total support for our project and his strong representation to the State Government, we were given permission to use this site for our storage shed. Eric Ellis was defeated at the next election but passed on his support for the sailing school to Wayne Smith, Labor representative for the South Coast, the next sitting member for this electorate. Wayne met with us and assured us that he would go to bat for us with his government. The result being a $50,000 grant from the Minister John Watson to construct the boat storage shed. We were now on our way! We now approached the Nowra TAFE with the building plans and confirmation of the government grant. After inspecting the site Bill Kleinmeulman, on behalf of the T.A.F.E. agreed to take the boat shed on as a project for his students, as part of their apprenticeship. The building was completed by December 2001 with the exception of the kitchen cabinets and they were delivered just after Christmas. We we're officially in residence. Sailing instructions then began in earnest, with each Saturday seeing an increase of students. Sandy arrived with the Naval Cadets to swell the ranks and presented a well-disciplined display of naval efficiency that had our students wide-eyed. We invited Paul Taylor from Sailability to come and have a look at our situation with an eye to becoming a branch of that group. The aim being to cater for those in our community with various levels of disability and give them an opportunity to enjoy the sport of sailing that has been previously denied to them. We had no problem convincing Paul that we were well and truly capable of becoming another branch of Sailability. I had on a number of occasions approached the Jervis Bay Cruising Yacht Club inviting them to use the boat shed facility but sadly they never seemed to be interested at the time. I could see a link with our group and the senior sailing club of the area as a future source of sailors as crew for the larger boats. It has taken a long time but we are now seeing some of our older sailors becoming involved in crewing with JBCYC. 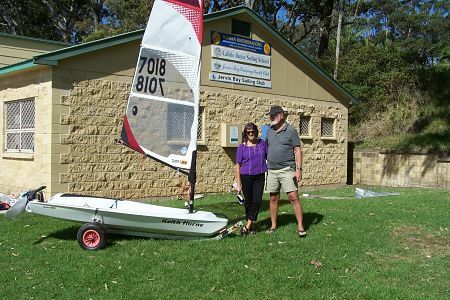 Jervis Bay Sailing Club approached us and said they were forming an off the beach sailing club to cater for mid range class of sailing dinghies and they were interested in using the sailing school facilities for their regular sailing activities and for larger regattas. We agreed and this has worked out well and has been a great benefit to the sailing school. 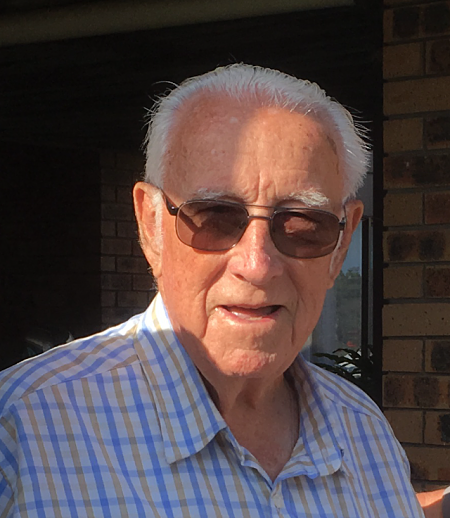 Malcolm Cameron has worked wonders with Sailability and that group has been showing us the way to go with any number of successful forays around the state. We are all so very proud of their achievements so keep it up you fella's. There are so many people to thank for their efforts over the last 20 years and I will just take a moment to stop and look at the boat shed and it's surrounds, the many small sailing dinghies that take so much effort to keep in good sailing condition, the general maintenance of the facility both inside and out, all through the efforts of volunteers. They all know who they are and they ask for nothing in return. I know that I am a better person for having been associated with them over the past years and hope I get a few more years of enjoyment watching their activities at the sailing school. Thursday, Friday and Saturday mornings are the most active days at the sailing school. If you are retired, out of work, need to complete some community work, you won't find a better place to do it than the sailing school. No sailing experience needed, just a willingness to get involved helping kids. The sailing school is and has always been about young people in the community and I hope it will always remain so. 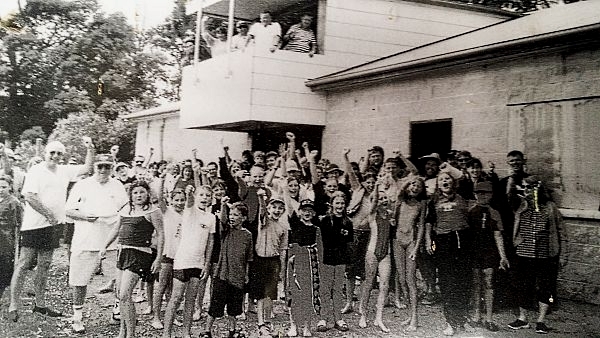 "Jervis Bay Sailing Club was established in 2004. 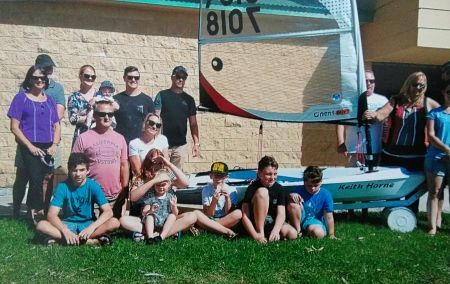 Its aims were to allow young graduates of the Callala Junior Sailing school to hone their racing skills and to provide a racing venue for local sailors." "JBSC continues to maintain a very close relationship with the Callala Junior Sailing school, in particular through their participation as part of the volunteer training group." Students from the Sailing School are also encouraged to join in with the races, starting with shortened courses. Rescue boats provide support for students during these races.